Barotseland National Freedom Alliance (BNFA) leader Clement Sinyinda has stated in his New Year message that it will be folly to try to engage the Zambian authorities on the Barotseland impasse at this stage. He has further stressed that their engagement with the Zambian authorities shall only be based on the disengagement processes with the involvement of a genuine international arbiter as clearly stated in the 2012 Barotseland National Council Resolutions adding that the BNFA shall do everything possible to ensure that Barotse interests are safeguarded at each and every stage. My fellow Barotse compatriots at home and in the Diaspora, I wish you All a prosperous and fruitful 2018. This is the year of manifestation of our aspirations. As we deeply reflect on our achievements for 2017 and as you make your resolutions for 2018, I bring to you my special 2018 New Year greetings and message. Country folk, I address you with a heavy heart, as I daily reflect on the suffering you continuously endure. I want you to specifically reflect on your desperate situation and compare it with the suffering our Lord and Saviour Jesus Christ endured for humanity on the Cross. God wants us to experience suffering so that we appreciate love and peace when we achieve freedom and independence. I want you to remember the injustices we have suffered at the hands of the illegal Zambian occupiers of our land. In 1965 they annulled the Witwatersrand Native Labour Association (WNLA) contract with the South African mines, which guaranteed yearly employment to 6,000 Barotse young men; and brought in an estimated 250,000 Pounds annually into the Barotse treasury. The Zambian government looted 78 million British Pounds from the Barotse treasury. In 1966 Kaunda dissolved the Church of Barotseland and created the United Church of Zambia. He dismantled the effective, efficient and democratically elected Barotse Government and replaced it with the powerless undemocratic Barotse Royal Establishment and undemocratic local government. Then they unilaterally abrogated the unity treaty the Barotseland Agreement 1964 in 1969; insulted us by renaming Barotseland as Western Province and tempering with our territorial integrity. They then started arresting, killing, torturing and maiming our compatriots for merely resisting these atrocities to this day. These tactics are meant to instil fear in us and have failed. We know we are right, and they are wrong. We want the truth to prevail. We seek justice. We cannot forget but we can forgive. All we want is a free and independent Barotseland. 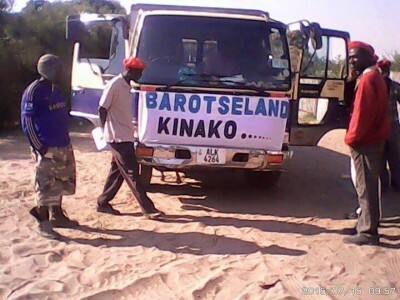 Barotseland shall be independent. We urge all the people of Barotseland to support the Barotse National Freedom Alliance (BNFA) in the implementation of the 2012 BNC Resolutions of 27th March 2012 and the actualisation of the independence of Barotseland. The BNFA has made tremendous achievements since the 2012 BNC. Barotseland, through BNFA, is a member of the Unrepresented Nations and Peoples Organisation (UNPO). We challenged the annexation of Barotseland by Zambia at the African Commission on Human and Peoples Rights (ACHPR), an African Union human rights body. BNFA has further taken the matter to the United Nations Human Rights Council, a conflict resolutions body of the United Nations. Accordingly the BNFA successfully brought the Zambian governments human rights violations against the Barotse before the Universal Periodic Review mechanism in Geneva. Subsequently, the international community and the European Union have now taken keen interest in the human rights situation in Zambia and particularly in Barotseland. The BNFA was invited to this year’s Human Rights Day. Compatriots, these are not mean achievements for an occupied and suppressed people. This does not mean that we should now feel comfortable at these milestones. At times like this, the instinct to do nothing and just hope for the best is quite appealing. Unfortunately, that is not the right choice. It is more important than ever before to have a clearer plan for the way ahead. We cannot just be at the mercy of the unfolding events or someone. It is now time to take charge and control of the events. That is what we as the BNFA are doing and that is what you should also do. Our destiny lies in our own hands. Moving forward, we now need the effort and support of every Barotseland national than ever before. Our focus now is firstly to get every Barotseland national to play their part in the struggle for a free and independent Barotseland; and secondly to lobby the international community for recognition. Already, we are achieving progress in that direction but much more needs to be done. It will be folly to try to engage the Zambian authorities at this stage. Our engagement with the Zambian authorities shall only be based on the disengagement processes with the involvement of a genuine international arbiter as clearly stated in the 2012 BNC Resolutions. The BNFA shall do everything possible to ensure that Barotse interests are safeguarded at each and every stage. Whatever path we take, is one decided by ourselves and not one decided for us. Country folk, 2018 has a lot in store for us, it is time for us to reach out to each other and work together. Together we can achieve the unimaginable. Nothing is impossible. God bless you all. God bless Barotseland.